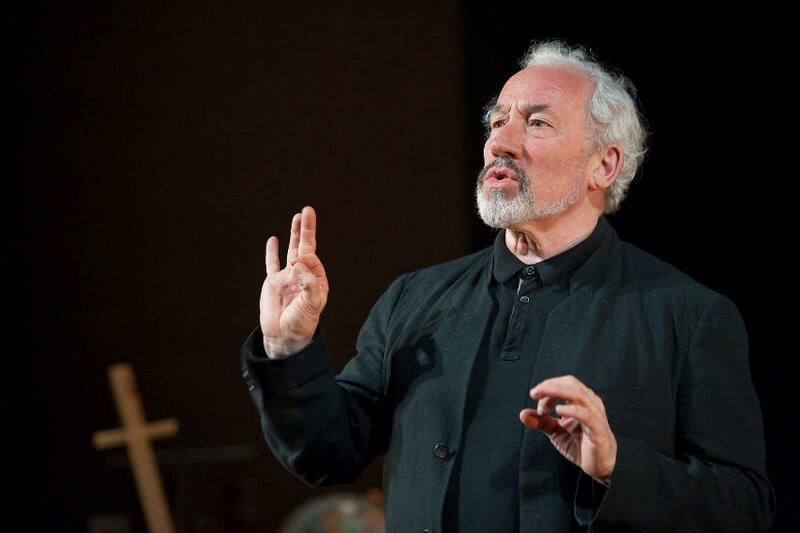 Simon Callow gives a remarkable performance detailing Shakespeare’s life and works in seven ages, in a thrilling one-man show at the Harold Pinter Theatre: Being Shakespeare. It’s difficult not to imagine yourself at a lecture some of the time (albeit a bloody brilliant one) but the lighting and clever use of stage props create such clever tension and atmosphere that you quickly become immersed in Shakespeare’s life and works. 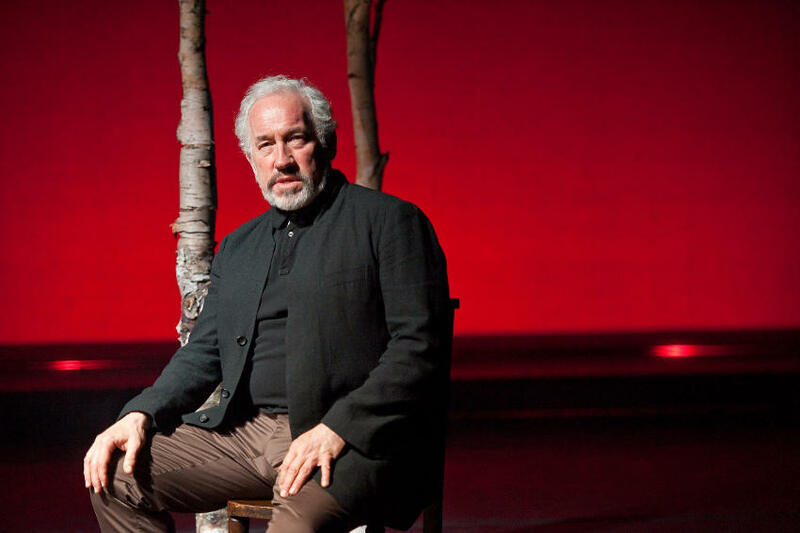 As always, Simon Callow delivers a punchy and schizophrenic performance that’s utterly absorbing. Having started out as The Man From Stratford in 2010 – a commission from the Ambassador Theatre Group – it’s easy to see why this one-man production has been revived several times following the initial UK tour, plus well-received stints at the Edinburgh Fringe and New York and Chicago. What might once have been perceived as too high brow for the West End is still rammed with London tourists and locals alike, keen to hear the immortal words of The Bard brought to life by one of the greatest board-walkers we possess. Justifiably described as a tour de force solo, with passion, authority and a heavy dash of humour, everything from Romeo and Juliet to Coriolanus is acted out, with Jonathan Bate’s script a skilfully woven patchwork of the finest English language ever written. You wonder how much direction Tom Cairns needed to provide when you consider how well versed Callow is at performing solo dramatisations of the life and times of famous writers, the first being his award-winning performance in Peter Ackroyd’s The Mystery of Charles Dickens. Although Callow doesn’t directly play William Shakespeare here, the play is interspersed with many of his most well known characters, whilst taking us on a journey from the writer’s humble childhood at Stratford-Upon-Avon to the populated streets of London, where he found himself ‘repairing’ and collaborating on works such as Sir Thomas Moore and borrowing from the best playwrights of the day before finding his own unmistakable voice. With the intention of making the audience feel as if they have met Shakespeare by the end of the play, Bate, who is a Shakespeare scholar and Professor of English Literature at the University of Oxford, must have struggled to condense a lifetime’s study into a 120 minute drama. The result is that we each leave feeling more familiar with the Elizabethan backdrop of works that were murdered and misinterpreted throughout our school days. This rather cathartic experience allows us to de-traumatise ourselves and may even encourage some of us to pop along to Foyles and purchase a shiny new copy of Macbeth. Being Shakespeare at the Harold Pinter Theatre, London, until 15 March 2014. Running time approximately 1 hour 55 minutes including an interval. For more information and tickets visit the website.